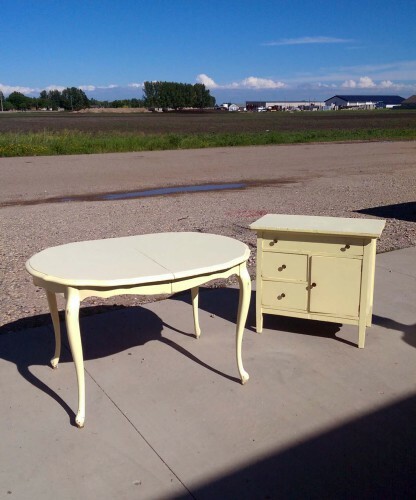 Vintage Furniture, Anyone? Come To The Elkhorn Antique Flea & Get Some! The opening weekend of the Elkhorn Antique Flea Market may have been rainy and not-so-nice, but we sold over half our inventory anyway! 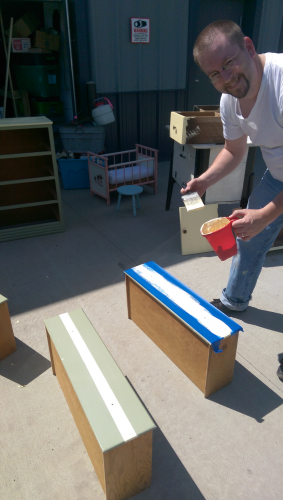 Since then, we’ve been focusing on restoring, repairing, painting, etc. 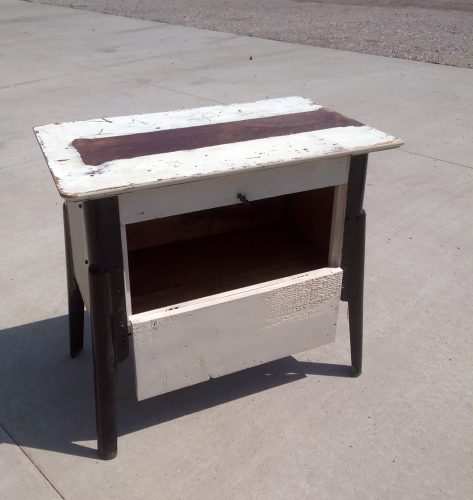 of other furniture pieces in (and outside of) our shop. But here’s a sneak peek at some of what we’ll be bringing to the next one on June 28th… That’s this weekend! 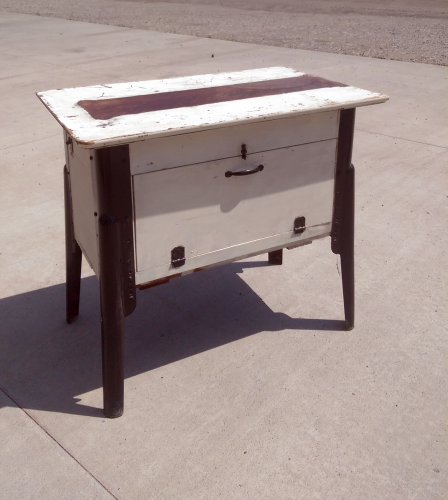 This vintage chest or cabinet served in the workshop — where it was likely made too. Note the drop-down storage and the black metal legs. 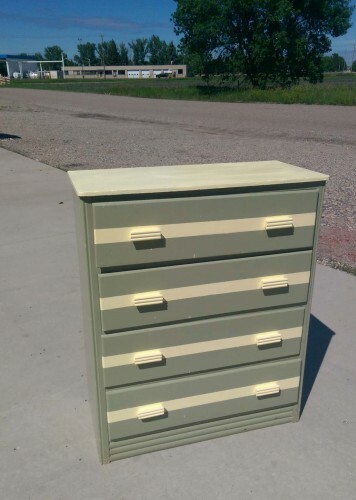 And this mossy green dresser got a few pale yellow stripes and a fresh coat of paint on top. Last (for right now!) 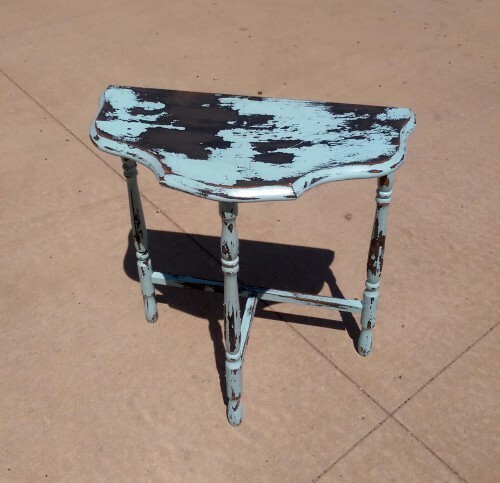 this cute little table we gave a shabby finish and a shiny lacquor seal so it stays chippy — but keeps too much paint from coming off. It also makes the red tone of the wood really pop!